We’ve known pollution effects the environment but is it depleting your complexion like it is the ozone layer? Recent studies have shown that pollution can affect skin, similarly to the way UV damage can. “Free radicals emitted by pollutants can cause DNA damage (and potentially even lead to cancer),” says N.Y.C. dermatologist Sejal Shah. If you’re wondering, free radicals isn’t the name of a new band. Think of them as renegade atoms that can mess with your cellular structure causing premature ageing, brown spots, wrinkles, and dryness. As we walk around outside (especially in major cities), our skin is constantly being assaulted by pollution. Before resigning yourself to walking around with a sheet mask on all day, here are three simple ways to combat oxidative stress. Protect- “Since pollution leads to free radical damage, daily use of an antioxidant in the morning is like a safety net to help minimize the effect on the skin,” says N.Y.C. dermatologist Joshua Zeichner. 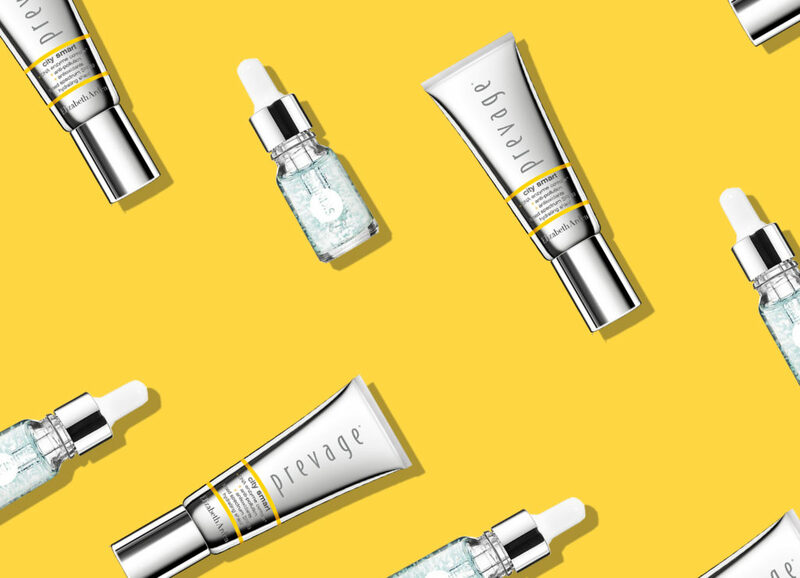 In the AM, pair your SPF with an antioxidant serum to further your defense. Look for ingredients like vitamin C, green tea, and resveratrol. This dermatologist loved which contains both green tea and soy to help brighten spots. If you prefer a 2-in-1 formula, try Elizabeth Arden Prevage City Smart Broad Sprectrum Hydrating Shield which has a whopping SPF 50 along with idebenone and ferulic acid to neutralize pollutants. Cleanse- Wash your face as soon as you get home- You already know it’s important to remove makeup but consider pollution as even more incentive to get those pores clean. Instead of letting pollutants, makeup and grime linger in pores, cleanse skin as soon as you get home. This also makes it less likely for you to forgo washing when you’re tired later at night. Look for gentle cleansers that don’t damage the skin barrier like oil based formulas. Also, we can’t help but mention that using toner will further degunk pores.